Recently I shared that one of the great things about being my children's teacher is that if something is not working for one of them we can stop. However, there are so many things that do work. Sometime we finish those. My middle child loves animals. She has shared that she wants to be a Veterinarian and then retire and be a groomer. 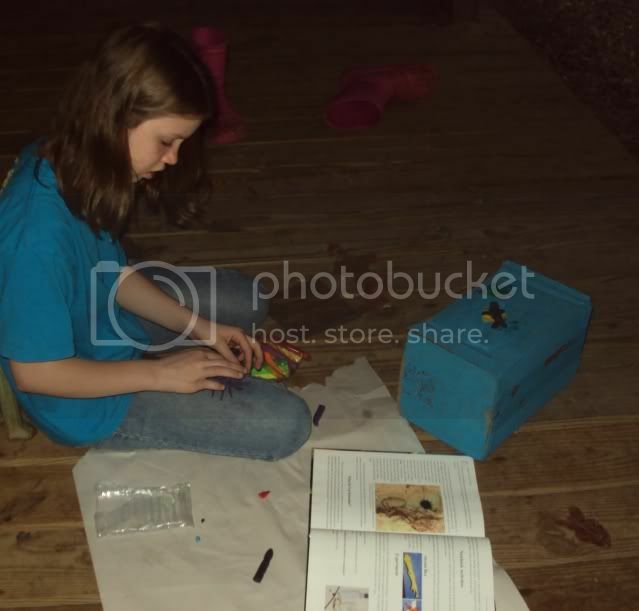 This year she picked out the Zoology series from Apologia for her science lessons, and she just finished the second book Exploring Creation with Zoology 2 Swimming Creatures of the Fifth Day by Jeannie Fulbright. 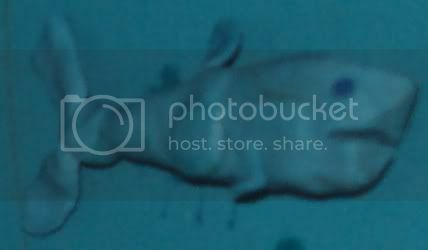 Her ongoing assignment throughout this book has been to create and fill an "ocean box" which she has enjoyed. 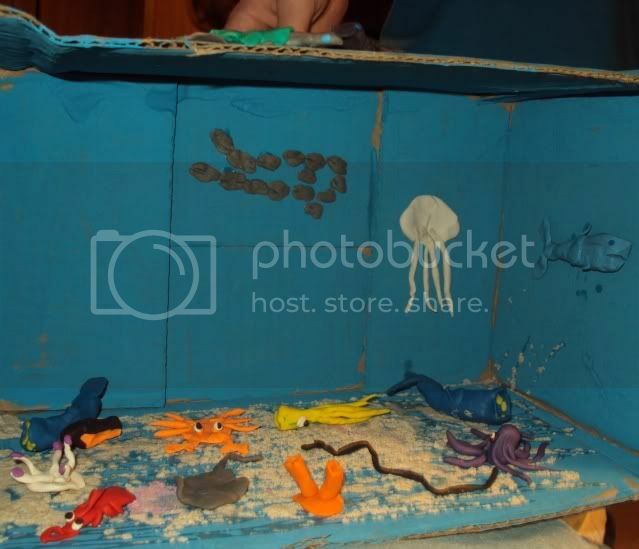 She painted a box blue, glued sand (from her hermit crab's cage, thanks Hermie) to the bottom for her ocean floor, and formed creatures from clay to represent those she learned about. 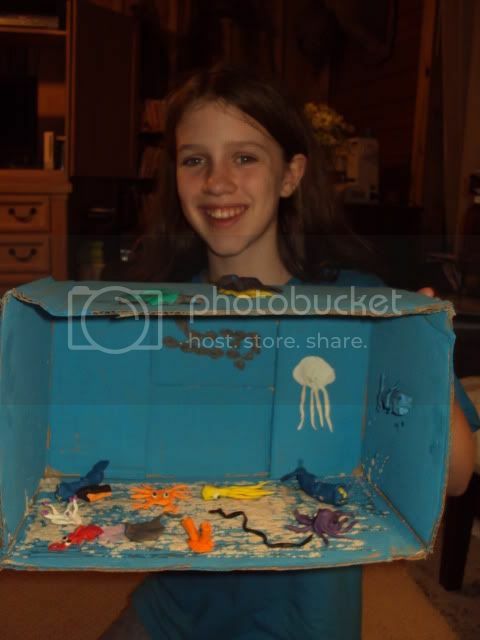 She recently finished her book and today caught up and completed her ocean box. Her favorite animals are the school of fish, turtle, shark, and octopus. Emily you did a great job! Great job on your project Emily! Wow! What a fun idea!!! Great job!